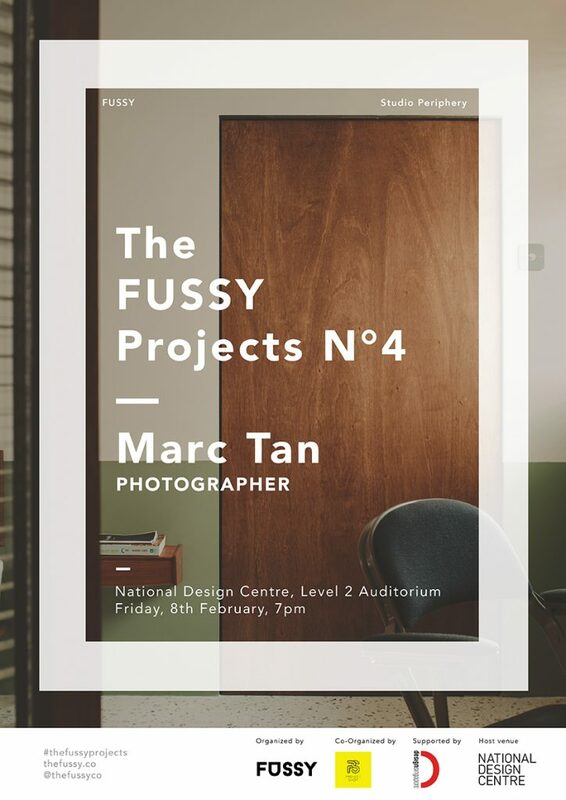 Supported by Design Singapore Council and National Design Centre, we’re proud to announce The FUSSY Projects N°4 with Marc Tan! Marc Tan (@coolbeancake) of Studio Periphery (@studioperiphery) is a photographer who shoots for interior, fashion, and lifestyle. With a varied portfolio, we’re drawn to his interior shots where he has worked with clients like Siren Design, Aesop and Airbnb. There’s a certain crisp to his shots that we have not seen from local photographers. See more of his works over at his socials! For any enquiries, kindly contact hello@thefussy.co. This is a free event though registration is required. Kindly cancel a ticket or inform us beforehand if you’re unable to make it for the event after registering, to allow us to open it up to those on waitlist. The monthly talks are a collaboration project by FUSSY and Project Shop, both sharing the same aim of promoting local creatives and engaging them with freelance projects or temporary jobs. The talk itself, will be a manifestation of just that. Creative professionals who are excelling in their craft, will be able to share about issues they faced, experiences to learn from and of their craft. P.S. If you’re early, pick up a FREE limited FUSSY totebag! Shhh..